Transforming your bathroom into a relaxing spa begins with exceptional accessories. Tugela's modern spout design may conjure images of the back and seat of modern lounge chair. Helix Bath’s Tugela – a modern freestanding faucet, designed with sharp square angles throughout. A perfect compliment to the simple curves of contemporary free standing tub designs. A unique feature of Tulega is the lineal flat water pipe versus the commonly arched appearance. A single water control valve keep it simple in appearance and use. The term “chrome" refers to the plating or coating of metal with a compound of chromium. Chrome is the most common of metal finishes and provides a smooth metal surface with a reflective sheen. CUPC®. Compliant with American & Canadian codes & standards. Click to view. Center to center reach: This is a term used to provide the measurement for the distance from the body to the outer arch of the faucet. In other words, this provides the distance from the center of the uprising tube to the center of the tube where the water exits the faucet. This is typically general information used to indicate how far from the edge of the tub the faucet can be placed while still allowing for the water to exit the faucet and fill the tub. 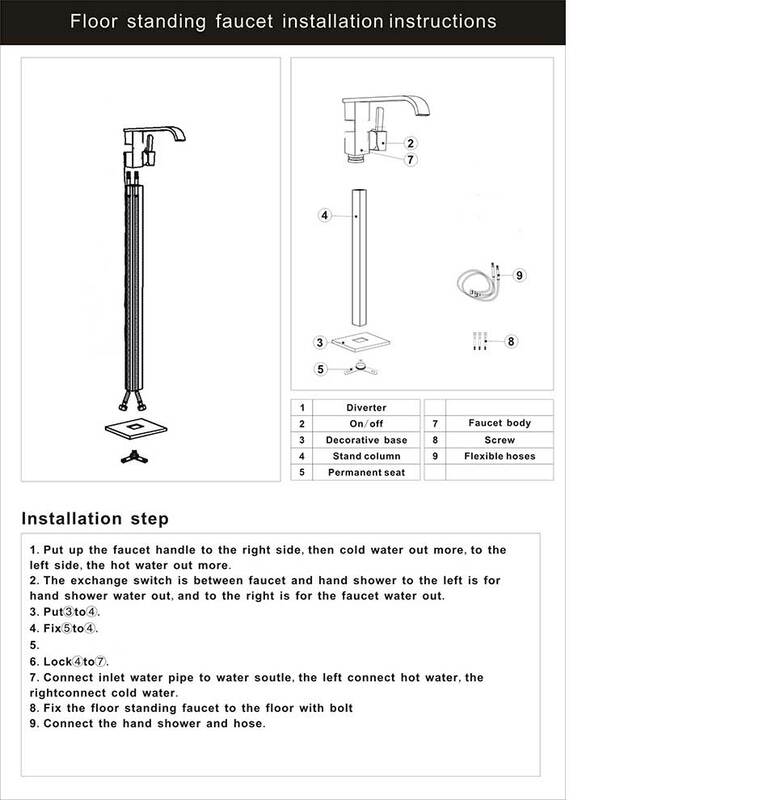 Faucet Centers: This is distance from center of hot water to center of cold water faucet. 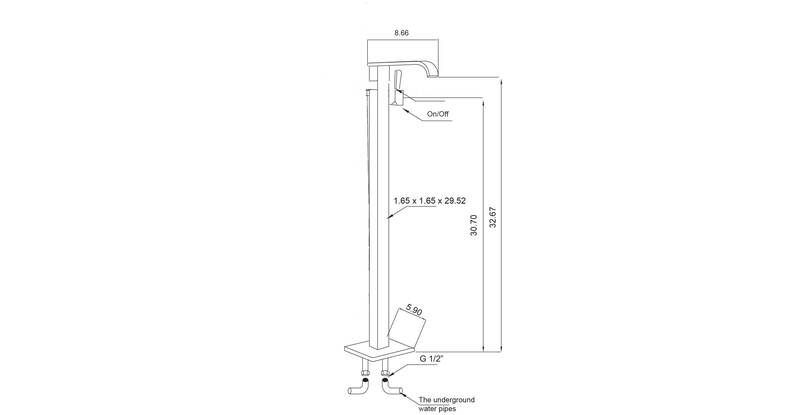 In the case of a freestanding tub faucet, this distance is the center of the hot water to center of cold water pipe where they meet at the floor. In the case of a single tube or "single hole" faucet this measurement is irrelevant. 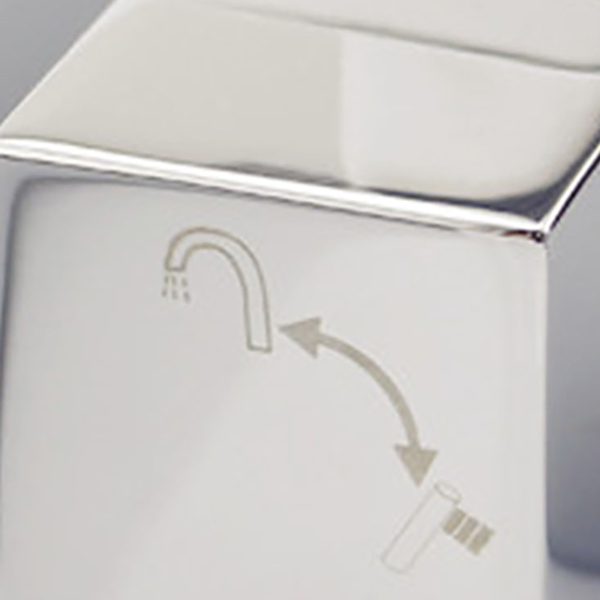 Thread connection: This is simply to indicate the size of the thread connection for the incoming water that the water faucet is designed to screw into. The standard size will be designated by the abbreviation NPT or National Pipe Thread to signify the standard used. Adapters are used if the water source size does not match the faucet thread connection size.